First generation family-owned small and medium businesses are set to contribute £218bn in gross value added (GVA) to the UK economy in 2018, a 21% rise on the current annual contribution, according to a new report published today by Barclays Business. 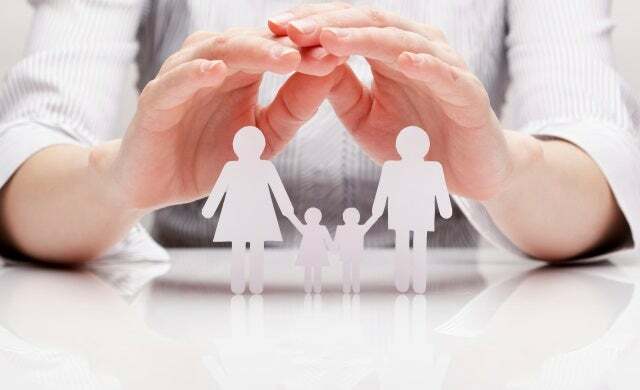 The report, entitled Family Affair: Spotlight on UK Family SMEs, analysed data from 130,000 of its family-run business customers; firms with two or more relatives, and estimated that family-owned companies will see revenues rise from £540bn a year to £661bn by 2018. Created in partnership with the Centre for Economics and Business Research (CEBR), the study reported the highest number of family-run small and medium enterprises since the 2008 recession with 2.45 million currently operating in the UK, a number predicted to rise to 2.65 million by 2018. The study also found an 8% increase in lending to family firms in 2013 with almost £900m lent in new or additional funding; Barclays expects this statistic to rise to £3bn over the next three years in line with “future growth of the family business sector”. Similarly, the report shows an expected rise in employment by family businesses with the number of jobs provided suggested to increase to six million by 2018, a 6% rise from the five and a half million jobs provided today. 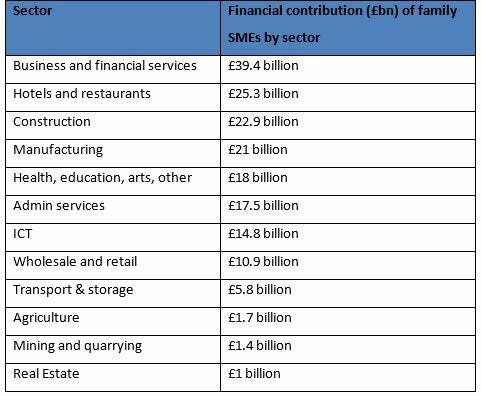 Concentrations of first generation family-run businesses were highest in England (2,143,468), and the financial services sector (£39.4bn) and the hotel and restaurant industry (£25.3bn) were found be the areas with the largest financial contributions made by family firms. “Family small and medium-sized enterprises play a powerful role in the UK economy and one that is set to increase if they have the right access to support and funding. “One in five of our business customers are family small and medium enterprises and we have seen a real increase over the last 12 months in the number of family businesses coming to us for support, mainly to help expand and achieve growth.